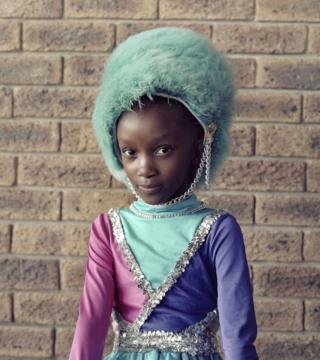 Alice Mann has been named the winner of this year's Taylor Wessing Prize for her portraits of an all-female team of South African drum majorettes. It's the first time in the competition's history a series of pictures rather than an individual photograph has won. 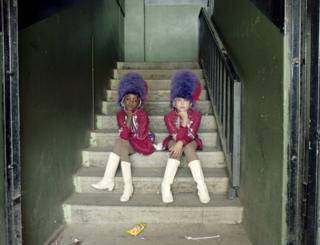 She spent three months photographing different teams of girls across South Africa's Western Province. 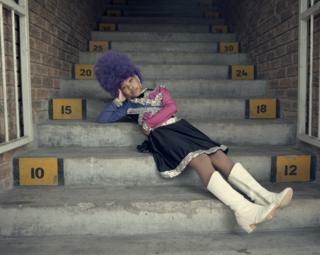 Many of the drum majorettes, or 'drummies', come from South Africa's most disadvantaged communities. "These four portraits are some of my favourite images, especially the one of Riley and Wakiesha because they are so charismatic," said Mann. 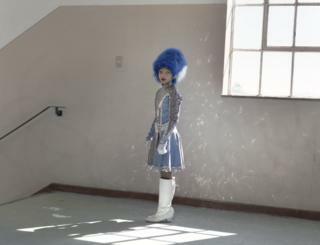 "For these girls, involvement in 'drummies' becomes a vehicle for them to excel, and the distinctive uniforms serve as a visual marker of perceived success and represents emancipation from their surroundings." The judges commented: "Mann's series is consistent in its evocation of a sustained and intriguing narrative. 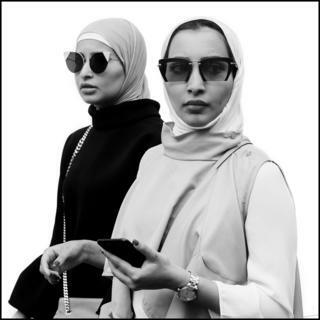 "Each sitter is precisely framed within a carefully considered composition, and the girls confidently meet the camera's gaze. "Their pristine and vibrant outfits jar with the run-down surroundings, lending a surreal and enigmatic atmosphere to the portraits." 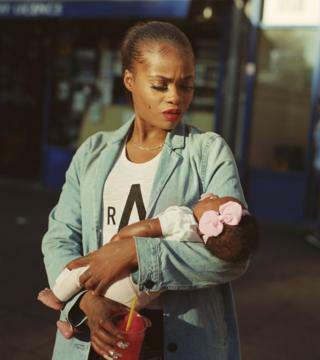 This year's runner up was Enda Bowe for his photograph of a London mother holding her baby. 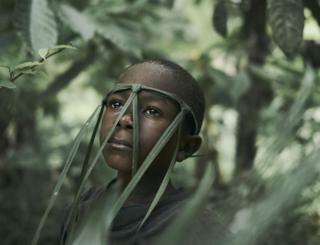 The joint winners of the third prize were Max Barstow for his portrait of a pair of shoppers taken in London, and Joey Lawrence for his photograph of a child from a remote village in the jungle of Sierra Leone's Eastern Province.